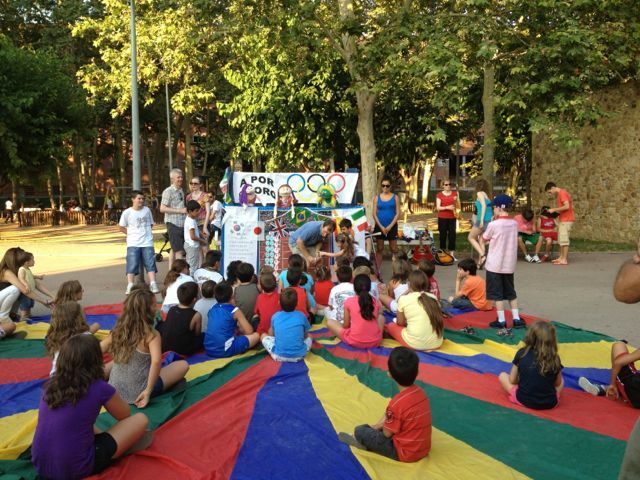 This picture was taken of the 2012 GLO team to Mollet, a small town just outside Barcelona. Dorit and I are off to the same are on Thursday to work with Andy Stewart again – but this time in a different church, in a suburb of Barcelona called Santa Coloma de Granmanet. We will be doing very much the same things as last year, running children’s clubs in the local parks, as well as youth outreach. Simon will also be speaking on Sunday 21st and 28th at the church we will be based in and leading the team Bible studies on 1 Peter. The team is multi-national, with members from various parts of the UK as well as Albania and the Faroe Islands. Last year, we didn’t have internet access while we were there, but if we do this year, I will post some updates here.